Can you outshoot the 2008 National High Power Champion — with an air rifle? That was the challenge facing over 220 competitors at the inaugural Carl Bernosky Challenge at Camp Perry. Two able shooters proved up to the task, Paul Kerr and USAMU marksman SGT Brandon Green. This popular event introduced shooters to the new Creedmoor-Anschütz NMAR air rifle. The Bernosky Challenge, with $1000.00 in prize money up for grabs, attracted a large crowd, including ‘Gunny’ R. Lee Ermey, the retired Marine who hosts the new Lock N’ Load TV Series on the History Channel. With over 220 entries, Paul Kerr out-shot all of the competitors to win the Bernosky Challenge event with a 197-8X score. USAMU shooter Brandon Green finished a close second, scoring 197-3X. 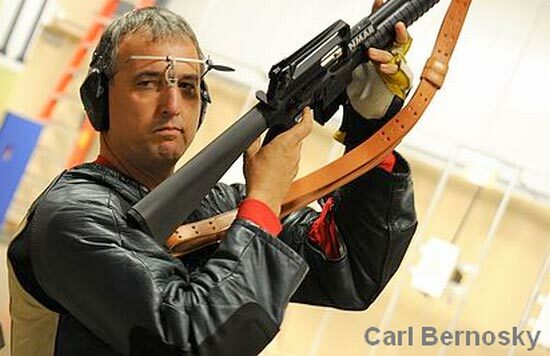 Nine-time NRA High-Power Champion Carl Bernosky was just one point behind, scoring 196-4X. CLICK HERE to view the Bernosky Challenge Finals PHOTO GALLERY. The new National Match Air Rifle discipline was developed by the CMP to simulate High Power rifle across-the-course shooting and provide adults with an air rifle discipline that builds on the popular junior three-position air rifle program. This NMAR discipline is ideal for High Power competitors looking for indoor or off-season shooting opportunities. NMAR targets are scaled down High Power SR and MR targets. Courses of fire simulate High Power matches, but at shorter distances. Thirty-five (35) Creedmoor Sports NMAR rifles were available for competitors to use during this competition. To learn more about the NMAR air rifle, visit CreedmoorSports.com. 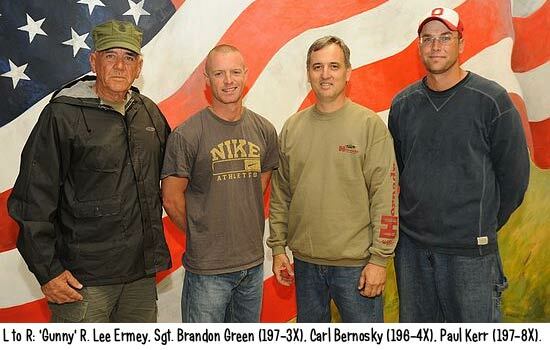 Share the post "Kerr Wins Bernosky Challenge (Air Rifle Comp)"